We live in an era where technology advances faster than our lawns grow. If you have heard about the iPhone 6, or the 5, or the 4, etc. you’re no stranger to the fact fancy new tech products come out every single year. But where does all the old stuff go? Chances are you didn’t bury your flip phone in a backyard grave, but all of this outdated material has to go somewhere. This is just the tip of the iceberg of e-waste: discarded electrical devices and other harmful residuals from manufacturing. Learn a little bit more about these risks and safety measures so your industry can maintain quality and avoid risks. With developments in technology, light manufacturing no longer requires specialized workers such as blacksmiths, silversmiths, etc. This industry centers around goods with low values that are easy to transport. Thus, for little cost, companies can produce large quantities of product. Seems great, right? Unfortunately, there are many potential hazards related to manufacturing that we must be aware of. In particular, the manufacturing of electronics involves large amounts of toxic waste that can be quite harmful if not disposed of properly. Firstly, manufacturing employees in the modern era should have a safety plan that is simple and easy to follow. This course introduces the importance of a safety plan, helps develop a plan, and introduces how to identify information on labels that can be crucial to safety. Electronics manufacturing can also be harmful due to the release of of lead or chemical waste in soil. 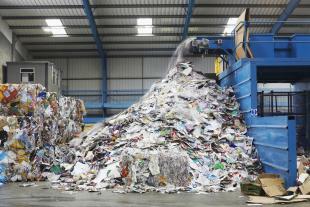 It is therefore extremely important that light industry workers dispose of waste properly. E-waste involves toxic substances that can have an extremely harmful impact on human health and the environment if not properly handled. Many countries outside of the United States also deal with this problem. The Indian government, for instance, emphasizes the regulation of e-waste due to the large amount of waste from developed countries. Fortunately, the U.S. Environmental Protection Agency is working to encourage recyclers to meet specific standards to safely manage and recycle electronics. Certified companies work to meet strict environmental standards to reduce environmental and health impacts. Companies are increasingly using reusable and refurbishable equipment to save energy and limited resources. If you’re looking to incorporate green engineering into your company, these training courses provide an excellent foundation Introduction to Sustainable Green Engineering Part 1 Course and Introduction to Sustainable Green Engineering Part 2 Course. Aside from hazards communication and greening your manufacturing, training courses can help communicate hazards and help employees remain aware in order to proactively follow safety precautions. This condensed safety bundle will introduce potential dangers that employees should be aware of in the manufacturing industry. Though manufacturing has become easier, maintaining our world and our livelihood becomes more and more challenging, and it is still up to us to ensure safe waste disposal to save our environment and ourselves. Educate your employees today to green your manufacturing and keep everyone safe.